The Cuisinart DGB-700BC Grind & Brew& #153; 12-cup coffeemaker with a burr grinder for superior coffee, brews up to 12 cups of cofee at a time and offers 24-hour programmability. The special burr grinder grinds the coffee without influencing the integrity of the bean. The unit has a progrmmable 4 hour automatic shutoff function for complete peace of mind and its brew-pause function allows for pouring a cup before the brew cycle has completed. The DGB-700BC features sealable bean hopper that holds up to a half-pound of beans, and the strength selector and the grind control functions fine-tune intensity and volume. 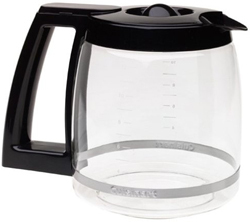 It also includes a 12-cup carafe that comes with a generous stay-cool handle, knuckle guard, and dripless pour spout. Other highlights include simple push-button controls, LCD display, Gold tone commercial style permanent filter, easy-fill reservoir, and a Charcoal water filter for removing impurities. The Cuisinart Grind And Brew Coffemaker 12 Cp Blk Nic has many exciting features for users of all types. 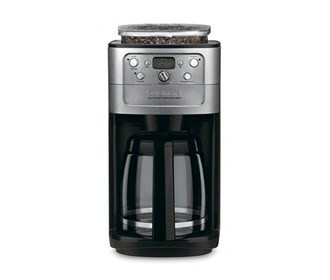 See the Cuisinart Grind And Brew Coffemaker 12 Cp Blk Nic gallery images above for more product views. 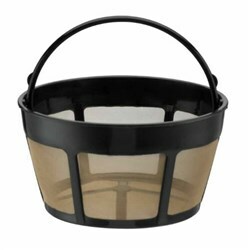 FactoryOutletStore stocks a full line of accessories like Carafe and Replacement Filter for the Cuisinart Grind And Brew Coffemaker 12 Cp Blk Nic. 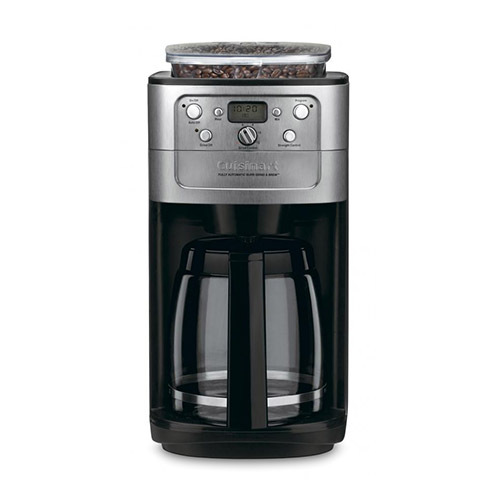 The Cuisinart Grind And Brew Coffemaker 12 Cp Blk Nic is sold as a Brand New Unopened Item. I loved the thing until the heating element just died. Simple return to Amazon though. Full credit...1 year old, approximately.